The Church of Christ at Gold Hill Road is committed to reaching out to everyone so that all might hear the Gospel and obey it. The focus of Local Evangelism is to bring the gospel to our local community via activities, outreach and personal contact. We have many opportunities to be involved with personal evangelism in one manner or another. Local Outreach via Organized Efforts – The congregation reaches into the local community through various works with the purpose of spreading the Gospel. These include person to person outreach, community outreach, food drives and other community events. Church Web site – Our web site is designed as a resource for members and visitors alike. On the site you’ll find the latest church news and events, access to Bible study, recordings of past sermons and other Christian resources, prayer requests and contact information. Letters to Visitors – We love our visitors and they are always our honored guests. All of our visitors receive a letter from our minister, Jeff Trotter. In addition, a card is sent from the Evangelism team as well. Visitors are asked to complete a visitor card and drop the card in the collection plate during worship, so we can have a record of their attendance. We want all our visitors to feel welcome and wanted at Gold Hill, because they are! Single Topic Brochures – Our foyer has a tract rack that contains brochures about the Church, the Bible, Faith, and Christ as well as many topics about life and the challenges people face everyday. These are available for members and visitors. Gospel Meetings – We have Gospel Meetings and guest speakers on a regular basis to speak on special topics. We often bring in national speakers or those who are considered experts in certain areas. These meetings often are developed with the local community in mind. 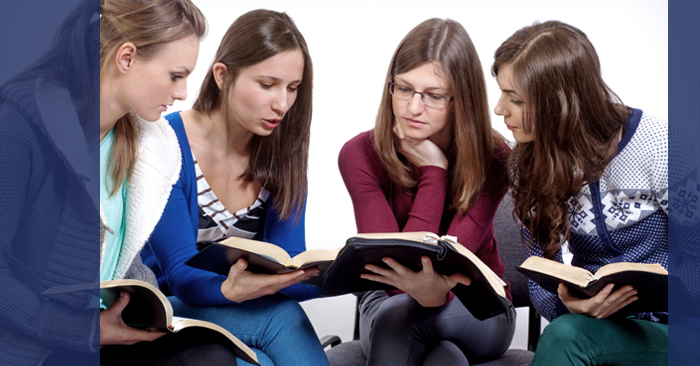 Church Library – The library provides resource and information members can use to build their Bible knowledge, research a topic for class, or learn more about evangelism tools and techniques. Please feel free to make use of these resources as you teach or study individually. Personal Evangelism — Sharing the Good News from one person to another is and will always be the most effective means to tell folks about Jesus. This is a strong point of emphasis at the Church of Christ at Gold Hill Road. We have classes and sessions available that provide guidance and training in sharing the Word with others.